Our business is helping you define what makes your business unique, developing a marketing plan based on that position and building your brand through targeted public relations, advertising and marketing. 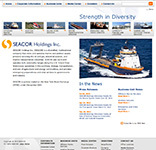 SEACOR Holdings Inc. owns and operates marine and aviation assets primarily servicing the oil and gas, industrial aviation, and marine transportation industries. 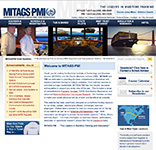 MITAGS and PMI are dedicated to providing the most comprehensive theoretical and practical maritime training for today's seafarers. 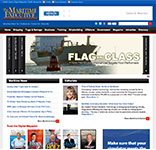 The Maritime Executive is a Maritime trade publication targeted at the decision makers of the maritime industry through print, digital and the MarEx eNewsletter.